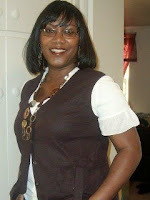 Doreen Washington, Author, inspires through writings of books, articles & columns! 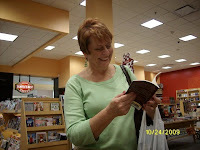 Doreen's books, We Are Woman and Trapped, were written to help women remember their worth and what they have survived. Her books give caution to women everywhere to remember to think sober while waiting for their dreams of love, romance and marriage to arrive. Doreen also gives inspiration to your accomplishments through articles and columns. This site celebrates our resilence, value, challenges and our lives. Enjoy the site while being encouraged! You Are Woman! A fate that has hope and promise. A fate that has a great expected end. You decide today. You have had dreams - dreams of starting a business, dreams of friendships, dreams of that specific career and dreams of romance and love. It's the eve of your miracle. It has seemed as though these dreams have been forever forgotten and any mention of them hasn't been heard of in some time. All our hopes and dreams are an eve away. Your dreams haven't failed to come true - we may have just stopped dreaming. We have given up? What a wonderful time of year it is when we can begin to start fresh and to bring our old dreams to life again or to create new dreams, it's an eve away. Just as a ready pottery maker, which sees a lump of clay directly in front of him and as nothing is formed of this clay and as he look at it, he begin to see a masterpiece created by using his hands. Put your hands to your dreams. It's the eve of a new day. You're dreams aren't dead; they are in your hands. Let u start the New Year that is filled with wonderful hopeful possibilities and great expectations of our dreams beginning to take shape as we begin to grab hold of them. It's within your hands and directly within your reach - it's an eve away. Our dreams aren't fulfilled because we've stop dreaming and we've stopped working at it. It's up to you. You may be thinking that nothing you've done have worked out; work it again, start over, and pursue it. Things will change when we change them. There is a newness in the air - can't you sense it? Things all around you may be in ruins but there's still a hint of hope and still a hint of newness in the air - it smells like a new day and a new year. It's your time and your season to be full of happiness, joy and a great expectation for your dreams and or your future. We all have dreams that have been calling us since we could remember - maybe since being a child. It has shaped some of the things that we have done, shaped the lives in which we have lived and brought us to people that we have associated with. Don't let those dreams fall so low that it's hard for you to even see them yourself. See that lump of clay that sees void, without meaning and without shape take on a formed possibility that can be created from your hands. Will you dream a dream? It's the eve of a new day and just an eve away! Come And Support The FACE Foundation in a Private Shoe Showing at Plateforms Boutique! ﻿How often do you get a private shoe showing from a leading shoe boutique! Well here's your chance!! Please come and support The FACE Foundation in a private shoe showing of Plateforms Boutique new Fall collection! Plateforms has donated a portion of their gently used shoe proceeds to The FACE Foundation and will be presenting us with their donation. Come and be pampered as you walk in on the red carpet.This is a private showing and the Boutique will be open only just for you (privately) so come and enjoy an enjoyable evening with The FACE Foundation & Plateforms Boutiques and experience “A Shoe Experience”!! There's no purchase necessary and no door charge! Please RSVP asap at facefound@gmail.com. Thank you! Platforms, A Shoe Experience! Opening Soon! I'd like to recap on a column we did back in February 2010 on Living To Be Phenomenal. We showcased a group of women (see photo below) who in my opinion demonstrated living above the circumstances of life - they were and still are living to be phenomenal. We are highlighting, Mrs. TiJuana Gholson, an innovator, entrepreneur and a show and shoe stopper! In our previous column, we showcased these women because I felt they were making their marks in their churches, communities, families and amongst their friends. Well today, Mrs. TiJuana Gholson has once again done just that. She has trail blazed a dream, while living to be phenomenal, by opening her brand new shoe boutique - Platforms right here in Hampton Roads, Virginia. Ladies Mrs. TiJuana Gholson has come face to face with a vision that was placed in her heart some many years ago. With her loving kind spirit, tenacity for life, being a lover of giving and allowing herself to be used by our Creator, she has the tools to command her destiny - walking right into it - Platforms! Platforms is a Retailer of stylish and affordable shoes and wonderful accessories. It's located in the Historical Hilton area of Newport News at 9622 Warwick Blvd., and it's scheduled to open Saturday, July 2, 2011. Let us support our sister by supporting her new boutique, Platforms - A Shoe Experience. Ladies, what's your dream? What's your inter most desires? Where will your destiny find you? 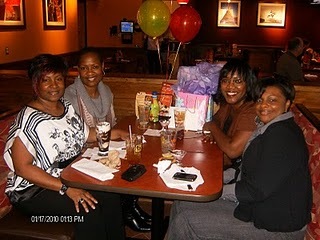 We all have phenomenal women around us that we can bond with, learn from and count on. Women who will help you get to your destiny and help you to fulfill someone else’s destiny. 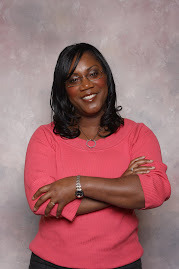 I'm not here to say do what Mrs. Gholson has done, but I am here to inspire, lift up and encourage you with inspirational columns - this is why this Blog exist. So remember that which was placed in your heart so many years ago. It's not over. It's not to late and it's not finished until you say so. Take a look at this woman (above) she looks just as any other women, right? Yes, correct, but the diference is she's Living To Be Phenomenal. Walk in your destiny! The crawling stage is over! It's time! You dictate your future by Living To Be Phenomenal. I'm pulling for you! I have decided to. ﻿﻿ You may be sitting right beside or directly in front of a Phenomenal Woman - Look Again - it may be you! Find out more about The FACE Foundation by viewing our YouTube Video! Let What Go Around Come Back To You Good! High is always better than low, right? Up is also better than down, correct? The fortunate is also better than the less fortunate - some may think. In our society we have been conditioned to see this as so. How many of us have seen those that may not look the part, walk the part or even speak the part of what we have determined as being high, up or fortunate? How many of us have disregarded the words of them that had nothing tangible to offer to us? We need people in both high and low places. Let us keep our arms wide open to everyone and decide not to discriminate amongst those in a less fortunate state. Our status may be high, we are always up and good fortunate seems follow us. Let this be your gift to share with others - not to have, hold and to hide. Someone said once, I have always been on top, always having all that I have wished for and never could see the need of another - until I became low, down and less fortunate. I say this is an unfortunate state of mind to have and to hold. Those snubbed while in low, down or less fortunate places may be your next help. Let what go around come back to you good! I will make a decision based on the content of a person's character - ensuring my good fortunate and future. Will you? I often take moments throughout my day to reflect on the goodness of life, its' opportunities, its' challenges and its' gifts. I think it is very important to reflect back on circumstances, situations and life in order to see yourself for who you are, who you wish to become and ways in which to improve yourself and your self image. To often as I reflect, I fight the urge to say what I feel if it doesn't build up my life and the life of someone else. I too, am working on this. It's exciting to see myself as I continue to work toward the person that I wish to be and rewarding to know that I can decide this. Ladies, we have to declare who we are, who we want to grow into and decide this for ourselves. Stop hesitating to look at you. I do understand that sometimes it's a painful process to look deep within who we are or even whom we have become and don't know exactly how and why we are who we are and why we are where we are BUT nothing is coincidental. We have either on purpose decided this or let someone else decide for us. Decide to take a moment and reflect and once you do it will change your world - if you so desire. Life has never been better than it is at this very moment! So I will decide! So I will say! And so I will have! You can also decide, say and have - take a moment to do so. When morning comes will we be happy with the person - the women that we have become? Will we be satisfied as to how we have overcome, endured and taken advantage of the next day, the next chance, the next opportunity to make a difference in the life of oneself and the lives of others? Have we taken advantage of the opportunity to grow or have we simply ignored those opportunities? It is still time, we have another chance before morning comes. What is our existence? What is our purpose? I believe it is to be of help and a resource for those who need our help. Don't miss understand me our existence is not to be used, abused or taken advantage of but to exist to help. When morning come - how will you feel about the night before? Those that we have encountered, did we ignore their plea? When we meet the need of our neighbors, our friends, our children and pray for those who hate on us - our existence will be revealed, fulfilled and defined for us - when morning come. You see we must give! So often we believe that there is nothing that we must do except rear and protect our own while making the way for us but mothers and women we are certainly more than this and we have more in us to give. We are the purpose!! We will receive for our home and our families when we see the need of others. Open your heart to others and see something other than what's in your world!! This will be the beginning of a good morning! Listen To Doreen Washington of The FACE Foundation give details on her organization during her Blog Radio Talk & Interview! Hello, I am the Founder & Executive Director of The FACE Foundation. It is our fundamental desire to provide relief to single working mothers through financial assistance and empowerment training, providing them a hand up. Find out more about who we are and what we do for Single Working Mothers along with our efforts throughout the community! Click the link below and listen to the full interview with Host, Tina Leonard, from Seeing My Vision 2 Reality Blog Talk Radio! Most times we concentrate on the areas of life which has a tangible necessity but miss the things which seem a bit unnecessary. Continuing to grow and to control our lives are more than making necessary decisions but it's as much about the unnecessary decisions as well. Sitting alone and going over the areas of our personality that may need strengthening so that we are in a position to build another up. Giving others praise when it's deserving. Showing compassion on those hurting enough to move us to act. Spending time loving on ourselves; relaxation and special treatment practices - possibly a day at the spa. Deciding to live each day full of joy and gratefulness. Getting up and out of the routine of not enjoying other people - we need each other. Attending outside activities - things that make us happy - deciding to enjoy ourselves. Enjoy each day afforded to us on purpose. We have to make a better way and a better day not only for everyone else but for us, as well. Sometime the necessaries are picking up the children, making the grocery store run, preparing dinner, paying the bills, going to work, completing homework and visiting the sick, etc. It seems unnecessary to focus on the unnecessary with so many other things to focus on - but it is necessary for us to come into the love of loving life and that begins with beng a servant of ourselves and others. Both is necessary. I've read a passage that stated, "I have come that YOU may have life and have it MORE abundantly." Life is an abundant gift - don't sleep it away - start enjoying it! And the last shall be first! To every woman whose on a mission to get and have what belongs to her! A woman that is holding her spot amongst the strongest of women! A mother who flows love from her heart right into the lives of her babies! Their calm and fulfilled spirit reflects you! I salute you lady for all the battles won! I salute you woman who went through the fire and came out of the storm. You resisted bitterness and the surfaced scares. A woman who still has a lovely song in her heart even when attempts were made to silence her! A woman who decided to stand - this is for you!!! To you my friend, continue in that what has worked and dump that which hasn't. You are not where you want to be but you are much further ahead than you use to be. You know who you are!!! You are beatiful! Decide Your Fate - What Will Your Day or Year Be! Ladies to often we do not decide on purpose to make it a good day or a great year. Oh yes, we say the slogan, "make it a great day", but as soon as trouble find its way to us and it will, we are taken off course and "make it a great day" has become just a slogan without meaning to us. That word make is empowering us to make a demand on our day and it's authorizing us to control our fate or destiny within the content of this slogan. We have to be aware and in tune with the happenings about us and around us. We must on purpose pay close attention to the things we say, the people we have in our space and the coincidences that take us off course. Ladies there are no coincidences - we are bombarded with work, children, little leagues, big leagues, home obligations, and we may get to enjoy some parts of our day by the end of our day - possibly. With all these different types of daily activities will we have time to decide our fate? We must on purpose make that decision or it just won't happen. We often times put the responsibilities on others to make our day or we have to have all things working together for our good to have a good year. But we must see our influence and abilities to create our fate, our destinies, and our worlds. This must be done with purpose and on purpose. For example, we set out to work daily and some of us have agenda and planned tasks that we must get done prior to leaving for the day. We on purpose have mapped out our plans and strategies in advance. This is one of the practice you can use in deciding your fate. Ladies, there's no difference with your personal life goals and desires. We all have life challenges that sneak its way into our space and begin to snuff out some of our air but this doesn't eliminate you from deciding your fate. You will decide it for the positive or the negative. I'd say that nothing will rattle your feathers. Decide your fate today. It's not your job's fault that you have not received your raise and it's not the state of the economy. It's not your ex partner's or spouse's fault that you're having difficulty with emotions, harbored hurt and destructive behaviors, it's your thought process that leads to your decision to act which determines your fate - good or bad. You decide your fate today! I have and its working! At this time of the year it is very easy to find ourselves without peace. It is very difficult to meet all obligations during this time of the year and because of it fear and anxiety grabs hold of us - leaving peace far from us. Who could imagine that during the most celebrated time of the year which is suppose to bring peace, joy and goodwill toward all would bring totally the opposite. I know that we have heard that it was said that commericalized society has taken over and the reality of the reason for the season has slipped away, but if you want to walk in the freedom of peace you must acknowledge the one who brought it and gave for us to have and to hold. During this great and glorious Christmas season let your heart not be troubled and fix your heart on Him who allowed himself to come to earth, obeyed the Father in totality and suffered a brutal death for us all leaving us His peace. I hope that you enjoy this season and be a testament of the peace that is following you. The Prince of Peace, the only Son of the Everlasting Father Almighty God, commissioned Christ the Lord to come to the world and through His death restored our relationship with the Father leaving us peace and eternal life. Make this year the year that you will walk in peace regardless of what gifts you receive or what gifts you're able to buy. Freedom - we all want it, some of us will fight to have it but when its given we neglect it. Remember the reason for the season is Christ the Lord! There are common mistakes made frequently when dating. We have characteristics and certain temperaments that drive us to disregard these signs while dating which could possible lead to an unhappy, unhealthy and unfulfilled relationship. These listed below are to encourage us to acknowledge the signs which are designed to direct us, lead us and get us to our destination safely. I am unaware of any sign made to direct us into an open hole or a deep ditch. Hopefully this will help you to pay attention while dating and think soberly. Do not ignore the red flags and the flashing lights that screams "warning" as you continue dating. Have fun as you go through these steps. While dating we sometimes are pressured or persuaded to begin an intimate relationship to soon. In doing so this clouds our judgement, seals and binds us together emotionally, physically and mentally before we can take a good look at things. We begin to lose our sense of reasoning and our thoughts are based on the heart. We are unable to think clearly leading us to ignore some signs which may already be evident. We are now bond and sealed with intimacy and we have not allowed ourselves the time to be a fruit inspector or to judge ones character. It's still not to late - keep a watch out. While dating it is imperative to get to know each other. Sometimes this may come by the way of information that is unpleasant to divulge. Hesitation on children, career, martial status, credit history, the number of most recent partners, etc., could be a hint that there may be trouble brewing or which may lay closer to your relationship than you may wish. Withholding such information or being dishonest in this regard is a flaw and forces you to continue a relationship without having all the facts. Be aware and notice the signs. We as women have a loving and caring heart. We love hard and continually provide the benefit of the doubt when its not warranted and when the lies are clear. We make the mistake of accepting lies while dating which are covered up by excuses. While dating we desire a lasting love and romance relationship and thus it could be flawed by lies. None of us want a relationship filled with lies. We desire honesty in addition to the romance, etc. While dating we have been stood up on numerous occasions - being given a variety of excuses without even a call being made. He's always missing in action. He works nearly 24 hours a day and is always tied or sleeping - leaving designated days in the week in which he can see you. Never can spend any money - checks always docked or late. Pay attention to the signs. Those that lie usually cheat as well. Is this the type of relationship long term you desire? Unless this is your type of relationship, accepting the signs of cheating or accepting the act of it is a frequent mistake in which we make. We all are aware of "everyone makes mistakes", but if all the signs are present of a cheating relationship and we fail to address it or accept the excuses or lies then most likely it will continue. We have to expose the cheater and without doing so we have provided approval without saying so. When we accept such behaviors we are in fact nourishing it and permitting it to grow. If you don't want this, then don't accept it or its' excuses. Don't turn a deaf ear and blind eye. Anger is a very dangerous thing. It could start with something as little as being agitated. It directs its' affections toward those closest to them and those who are most vulnerable. Ignoring the anger sign could lead us into a pit that's dark and ugly. If he is easily agitated by you being late, or pressure on the job, or a competition lost, or has very bad road rage or just by you saying "no" to what he thinks should be "yes", this is a sign we are unable to afford to miss. We desire a loving, caring and healthy relationship and with making the frequent mistake of accepting the behavior could lead to a dysfunctional and traumatic lifestyle that you may find difficult to come out of. See the warning sign, stop it in its tracks and drive to safety. This is also a mistake made frequently. We have a way of faking ourselves out. We bury our feelings and try to go on as usual when usual is the farthest from the truth. We must learn to be first honest with ourselves before we can be honest with others. Once trust ha been violated or broken it takes time, healing and sometimes counsel in order to get it back. We have the right to be honest enough to express this. We tend to harbor this deep within ourselves and toughing up on our emotions to protect ourselves instead of dealing with the hurt, pain and betrayal of trust. We must try to express our emotions and feelings while getting to know him. If trust has been violated - we need to express this and notice where this express leads. Trust your instincts. We all have those annoying habits that drive others up a wall, but I would say pay attention to habits that you have made the decision to live without. While dating or getting to know someone don't decide to dump or abandoned your habit list that you have decided to live without. Do not cross them off your list - it will surely come back to haunt you later. Stick to your guns! You have every right to want a relationship with someone who doesn't smoke, or drink, or someone with good body cleanliness or doesn't curse like a sailor. This isn't a sign of being to picky but a sign of securing some normalcy within your relationship without hindrance before it get started. Do not let the longing for love, romance and a long lasting relationship cloud your judgement and allow you to drop your standards. Remember if you don't want a smoker than a smoker will only get under your skin. I believe this to be a sudle mistake that can be missed. This sneaks up on us and unless we're seeing the signs we will miss them. We as women tend to ignore how others treat us because we don't treat ourselves well. We drop and compromise our standards because it easier to do so rather than to face the truth sometime. We lack in self love which is being hidden behind the hair, nails, clothes,etc., so when he compromises us within our dating relationship we miss it. When he will throw you under the bus to save himself on every occasion, he has compromised us leaving feeling worthless. Teach others how to treat you. Now ladies, this is absolutely a no-no, if we are aware of this. Red flags should go up that if he would do it to his wife why wouldn't he do it do you. There are ways to detect a married man and we all know what they are. This individual doesn't belong to you - he belong to another whether he's physically with her or not. It isn't advisable no matter how far into the dating period you are - it's a no-no. This relationship could never be a honest one because it began with cheating and lies. In most cases we are aware of the spouse but choose to begin a dating relationship regardless. There is someone waiting to love you. You only have to be patient and not settle for someone husband. Jump ship and sail home alone. If you are hoping the man you're dating will be long term, it's really important to pay close attention to his spending habits and the comments which are being made when spending. If you like nice things which we all do - you better pay close attention to this one. If he rather take you to a fast food restaurant for dinner regularly, or complains about the cost of a .70 candy bar or when you are finding yourself being asked to pay over and beyond for items, occasions and or trips, you may be looking at someone who may hesitates to be a provider. We are all aware that in today's society and economy it usually takes two incomes to make the home work and if this is true with you pay close attention, it's a good chance that you may have a fight on your hands later on. These are just a few hints an tips to pay attention to while dating. They are frequent mistakes that we all have made some time or another. It's time to learn from the last and pay attention to the signs from this one. You don't have to compromise but recognize the signs. Let us be proactive while playing the dating game. Set your course for determining if we are compatible with those in which we are dating. It's not enough to go on good looks and in fact without looking to eliminate some of these frequent mistakes while dating you are setting your own selves up for a short term relationship leaving you possibly disappointed once again. Be a good steward of your heart. Slowly we are striped and bit by bit we no longer exist. The hurt and pain of the mishaps and misunderstandings is like indwelling poison that seems to eat away at oneself. Violated and beaten is how we sometimes feel but we must admit how we must sometimes kneel. Our existence wants to only love, and be loved but with a sincere heart we want to pass it on. It may not be healthy and it may not be right but because of this feeling we have begun a negative flight with our lonely heart. Many of our beautiful women are feeling as I explained but there is a new day just ahead. They feel as though they have been cheated the right to overflow, but there is still hope as the day pulls you in, we just have to acknowledge that this too exist. The inadequacies and the failures that lie in your past are opportunities for you to be glad. Glad for the fact that it indeed lie in your past. We have held people up to the standard of Him when there's only one who has ever measured up to Him. We can learn to accept what is good and decline to accept what isn't - there's no shame in doing this. Take the opportunity to grow within and stripe yourself of the evil that tries to influence you within. For that woman who says she's tired I so agree that she should be. The feeling of exhaustion is the beginning of strength, the beginning of being rejuvenated, the beginning of awareness and self examination which will lead you to your existence. I say to her get up and look to feel something new because there is something good desiring to push through. Sometimes what we feel isn't always what's real. What do you feel? She wasn't prepared for what was found in store. What thing has you stumped? Unable to get out - unable to move on - unable to make that wrong decision right? Why is it so difficult to look at ourselves and dig into the truth about who we are or maybe have become - all the yucky stuff - why? Why would we rather help pain reside within us then to get it out? When will we begin to make the wrong actions right? Why is it so easy to do what's wrong and ignore the danger and warning signs? This woman spoke to me and shared a similar circumstance as she found herself facing the above. She had relationship after relationship and all were unfulfilled - none where satisfying. This was devastating to her and difficult for her to understand leaving her with thoughts of doing wrong. Can you image the wrong that she thought of doing? She often desired the attention of most men and found herself needing them in an unhealthy way. She shared her thoughts on how she begun to sparrow out of control and her life was not where she'd ever thought it to be. She would never be prepared for the tragedy that struck her existence nor would she ever think she would be able to dig herself out. This woman didn't know how to get her life back. She didn't know how she could begin to make her wrong right. She was faced with having to look at herself, after opening the door to an attack and as with all attacks it struck her very core and compromised her very existence. Only after which time she dug deep within to see who she had become and then only was she able to dig herself out. What thing do we need to make right before tragdy springs its' head. Don't wait, dig deep and stop the madness of self destruction. Trapped! Is now available for ordering online at some our major bookstores. For your convenience - see the links below. Have you given up on the spice of life and having a bit of honey? It's not too late to enjoy a relationship after experiencing a bad one. It's not too late to anticipate a good life after experiencing some turbulence. It's not too late to experience a bit of honey. When I think of honey, I think of an experience of taste that's sweet. Your relationships with your significant other, with your friends and family can be sweet. Your turbulence with life can be sweet. The image of who you are as a women can be that of a sweet one. You can have a bit of honey within your environment and within your world - you get to choose. Life and all that can be offered doesn't have to leave a memory of distress and despair within your heart and a bad taste within your mouth. Notice I said can be. It's completely up to you as to what taste you will have left in your mouth or in your heart. Will it be sweet or bitter? Have you forgotten the wonderful feelings of love when it first touches your heart, or peace when the roaring seas have calmed or even or when you hold the heart of someone in your hands and you influence them to live and not die. Our quest should be to endeavor to pursue these things without looking back or having feelings of guilt. We're made to experience a bit of honey in this life and without it we experience a breakdown in our functionality - nothing seems to work right without the sweetness of a bit of honey - experiencing a good life. You can start now even if it hasn't always been good - you can start today experiencing a bit of honey. You get to choose. When will you decide to have a bit of honey? Whether it's love, a great new business venture, whether it's enjoying a faith relationship, or hanging out with family and friends; experience the sweet taste of honey - the good life. We have all experienced both good and not so good within our lives but we can decide what taste will left in our mouths and hearts. It's your life and you have only one life to live and one life to give. Decide to enjoy so you will have plenty of good stuff to give - enjoy a bit of honey! It's about time you've acknowledge your gifts. Bravo!! If there hasn't been a time when you've seen your beauty, seen your worth and continued to recognize your strength - today is your day. It's about time that you remember the qualities that has set you in motion and has made you the woman you are. The woman who has identified her flaws and cleaned them up, the woman that has made mistakes and has grown from them, the woman who has cried all night because of one and has cheerfully smiled when helping another the next day. Bravo!! Look at the true woman and who you are or have become. Celebrate you - Bravo!! Many of us have been in failed relationships, touched in an inappropriate manner or informed we were not going to amount to much or even make it through that difficult situation - even by those closest to us and yet without recognizing it this was tearing us down and the sight of our future hopes diminished. We have learned not to rag on ourselves any longer or permit others to put us down - it isn't permissible - Bravo!! We use to dig our own ditches awaiting the fall but we have climbed far above that now - we're stronger now, we're smarter now, we're experienced now and wisdom has set in and has made us. I have read that it was said that wisdom is far more precious than rubbies. There is also some who may not wish you well, but their thoughts of you can't touch who you are if you know what your made of and who you belong to - keep your eyes to the sky!! Our Creator creatively designed us - no mistakes being made and He was pleased. There's goodness in you, there's honesty in you and there's strength in you. Give credit for the successes and give thanks for the mountains you've managed to moved and learn to celebrate you - no matter the storm and no matter how high it is. You Are Woman! Check Out My Newest Book, Trapped! 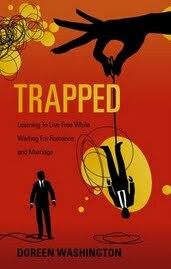 In this newest book, Trapped, I've tried to provide you, the reader, with a realistic view of where we as women can find ourselves if we lose who we are while waiting for romance and marriage. I have taken the life of one woman and depicted a period of her life where she finds herself out of options and at the end of her rope when her heart desire fails to be. Come join me on this life changing adventure, suspense, love and drama of Allison's life lesson. I promise that you will enjoy the ride. For a more detailed piece on Trapped, please scroll down and read a small piece. To purchase this book, just click the link to the right of your screen. It's Been To Long! Life Challenges! I have missed keeping you up-to-date on things. Please forgive me! Life has been dictating my time. Within the last several months, I have set up a new residence, become a landlord, graduated my last child from college and buried a relative and through it all - life is still good! The challenges in life has helped me continue to love and depend on God, have made me grow stronger and to continue to love who I have become as a woman. As I look back on all the things which have brought me to where I am today - all the obstacles, as well as, the good, I wouldn't have changed a thing. Without the most difficult of times, I wouldn't have understood my strengths, I wouldn't have understood the right to be who I am and wouldn't be able to change the saying from "having the wisdom to accept the things we can't change", to "having the wisdom not to accept the things that I can't change". I love the woman I have become - in my faith, within the challenges of life and in my heart while endeavoring to continue to grow. I hope that every woman will see my challenges and strive to be free - free to live, free to decide and free to forgive the unfortunates. Life is good! Please continue to visit my site for uplifting and inspiring stories on us and for us! We Are Woman! Banks a former supermodel created the popular TV reality show America's Next Top Model and hosted her own talk show. She was the first African-American model to be featured on the cover of Sports Illustrated swimsuit issue and appeared regularly on the cover of Victoria's Secret catalog. She dabbled a bit in acting, as well. It looks as though she has mapped out a plan from the very beginning of her career. Have you mapped out a plan for the things that you wish for in your life? What about taking a step toward a plan. It's rewarding when things happen in our lives which moves us closer toward the next step of getting closer to our goals and destinies, without us doing or planning a thing - but we all know that this isn't the norm for most of us. We must, for a lack of a better term, become self absorbed in order to hear our destiny pull on us through listening to our spirit speak and lead us. How can we entertain the illusion that sometimes plague our thoughts that our existence isn't predestined to soar and reach every goal that we wish. Sort of like the Williams sisters. Sometimes we look at other individuals and think of their great talents, versatile roles and their potentials to "make it" but never see ourselves with these same potentials. We all have greatness in us - it's there within, but we're slothful with getting alone, listening to our inner self speak and following the guidance of our spirits - leading us to a plan. Ladies, become self absorbed with listening to yourself (spirit) speak and trust that it will lead you toward mapping out a plan that will lead you to your destiny; to a place where fulfilment will spring forth. You're not living happy until you're living and moving toward a place of shear fulfilment. Doing nothing will lead to nothing - leaving you unfulfilled tomorrow. Tyra had a plan and her first step toward her destiny or her fulfilment was the steps she made toward modeling. She feels that she was created to do - to produce movies - that's where the fullness of joy is for her. Where do your fulfilment rests. What will you do to pursue what you were created to do - it only take a step to begin. Perhaps today? We have had various relationships that have come and gone. We have loved hard and given everything we had to offer into these relationships. It didn't matter and sometimes the cost wasn't considered. The tremendous amount of affection that we have given to those in which we were involved with may not have given us what we needed to grow but yet tore us deep from within. The emotional support, the friendship and the love that we give sometimes still seems as if it's not enough for others. We desire this within our relationships and we begin to search for it, sometimes finding it where ever we can. We can begin a brand new relationship, a relationship that's being fulfilled. The relationship that we have been seeking for - a relationship with ourselves. Let us begin by loving ourselves. Are we able to give ourselves this first? We need to train ourselves and then begin to build on a relationship with ourselves. We have it in us to do. We are resourceful women, we are able to find ways to meet the needs in which we have in so many other areas. When we find that we have a need, we are able to pull the resources of our strength and resilience from with. We show love and connections with our children, our friends, with those we work with, our neighbors, and our significant others, but fail to remember to get in touch with who we are as women. Sometimes it seems to difficult to look inside ourselves and face the real truth about who we are and what things we need to change in order to rebuild ourselves, but its necessary in order to appreciate your beauty and worth. Begin to build yourselves up, speak sweet nothings in your own ears - aloud so that you can hear it, support your visions and goals and lay and relax with you. In doing this there will be no room for self deprivation, no room for worthlessness - there will be no room. Fill yourselves up with a tremendous amount of self love, self respect and self support - rebuilding yourselves. Let's continue to think of all the victories won and how we have recovered from all the obstacles. We can do this and come out of it a better woman - a better you - rebuilt! Usually we showcase women in history and women that have made the world take notice, but there are women around us that have made us take notice and women around us that will forever be a mark in our history. They may be sitting directly across from you or right beside you. We all have a phenomenal women around us that we can bond with, learn from and count on. Women whose desires are to help the helpless, bring laughter to the the broken hearted and to give love by the giving of themselves. Take a look at these women - they are all phenomenal in their own right. Their accomplishments are not measured by the things they have acquired but by the servant spirit they've desired. We all are phenomenally made and thus you too are of value and your worth can not be measured. It's the small things that will measure largely in your life and the life of someone else. Good clean, fun, laughter and friendships always does the spirit good. Ladies, we need each other - We Are Woman! We as women are nurturers by nature. We love to care for and nurture people and sometimes even things and it has run us into the ground. We have not trained ourselves to let go and sometimes we're not really sure that we even want to. It's who we are. But we must try to let go of those things that we have tried to care for and tried to nurture when it begins to stunt our growth and weigh on our thoughts - causing a misdirection of our destiny. It's never too late to say goodbye to the hurt and the pain that has attached itself to our emotions. It's never too late. We can break old bad thought processes and develop new good ones; we can learn to think on those things that lift us up and push us forward. We can start fresh after that failed business or bombed out relationship. It's never to late. As women we are responsible for much and much is required of us and because of this, we have developed ways to get through and subsequently begin to learn to live with the hurt and the pain - having it reside in us by keeping it alive. We must learn how to say goodbye to the things of the past that has hurt us and has inconspicuously kept us from reaching our full potential and has brought down our self worth - we didn't even realize it was happening. We are far too valuable and resourceful to continue to permit the same things to stress us and pull us away from reaching our full potential - we won't let go and we won't say goodbye. How can one run a race and reach their destiny when they are overcome with weights - they can't unless they remove or take off the weights. Your greatest accomplishments and successes are waiting to be released but its' hindered from doing so because you won't let go and won't say goodbye. It's not to late to say goodbye. Let us clean our house (our hearts and minds) so that we can give permission for success, joy, self love and self worth to come in. If you don't - it won't. It's never too late to say goodbye. Can you start fresh today? We Are Woman! We Can Do It - YES WE CAN! "The 'Rosie the Riveter' movement" increased the number of working American women to 20 million by 1944. Although the image of 'Rosie the Riveter' reflected the industrial work of welders and riveters during World War II, the majority of working women filled non-factory positions in every sector of the economy. What unified the experiences of these women was that they proved to themselves (and the country) that they could do any job and could do it well. Remember that we all have the strength, resilience and perseverance to accomplish whatever THING we put our minds and hands to and Rosie the Riveter is just a small reminder that women before us taught us by their examples and showed us how we could demonstrate our strength for the world to see but most importantly that we remember that we can. Will you step out on what you believe in? Remember your worth! We Are Woman! Tis The Season - Life Is Good! As we look toward the next few months of this holiday season and as we give thanks for the things we have, let us also remember how good life is. Whether we have everything we want or have little – life is still good. Having an abundance of things doesn’t determine a good life. It’s having peace, joy and the sincere love for others that make life good. Life is good when we see how the sky and puffy white clouds keep us gazing. Life is good when we see the beauty in the colors of the trees that line our streets and life is good when our eyes are opened by a bright burst of sunshine each morning – awakening us. Life is good! Let us remember the simplicity of things in our lives that maintain our peace and give us joy – tis the season. Sometimes we become overwhelmed with running to and from trying to get that perfect gift which expresses our love and gratitude. This is wonderful and it’s a sentiment that should be demonstrated whenever possible. But remember your worth and your strength as you remember others this season. While doing good toward others, helping those in need, loving and sharing special stories, take a moment to remember you. Take the time to have a breather from the hustle and bustle of your day this season. We are women and we will try to accommodate every friend, attend every party, fix every meal, and wrap every gift. Let us not lose our zeal during this holiday season and most importantly, let us be thankful for the things that have been given to us as gifts – the things that give us peace and restore our joy. This season is about giving love through sharing the best of what is on the inside of us – with our friends, family and to those we may not know. Decide to forgive someone, be more patient with that relative, and encourage the hurting during this holiday season – it’s about sharing and giving. It will bring you peace, comfort and joy. Remember your strength to persevere as you are remembering family members not within your reach and remember your value as you share a pricey gift with another. Life is abundant and the fullness of it is before you – love it while embracing it. You still have today. It’s not over yet. Tis the season! Was Her Success Stumbled Upon Or Was It Planned! Perhaps she is still best known as the daughter of the incredibly famous boxer Muhammad Ali, but Laila has made quite a name for herself in the world of women's boxing. The former personal trainer's announcement in 1999 that she would try her hand at boxing may have been met with some initial skepticism, but her undeniable talent in the ring has long since removed any doubts. 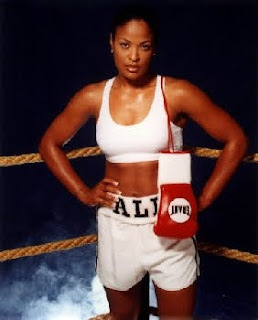 Laila Ali, the ultra-fit personal trainer announced her intentions to step in the ring in 1999. In October of that year, she had her first fight with April Fowler, kicking off her successful career by knocking out her opponent in the first round. After eight consecutive wins, boxing fans were impressed with the newcomer, expressing their desires to see her fight well known boxers like Freeda Foreman, daughter of George Foreman, or Jackie Frazier Lyde, daughter of Joe Frazier. Frazier Lyde and Laila squared off in the ring in June of 2001, and the fight was a Pay Per View main event. It was the first women's boxing event in history to be classified in this way. By judge's decision, Laila Ali was the victor. In my assessment of the accounts of her humble beginnings as a personal trainer a nd within the content of the above article, I would be lead to say that it was stumbled upon. Ali one day out of the blue decided that she would "try her hand at boxing" and went for it. We see her story. Whether we have planned out goals or visions or we stumble upon something great that gives us great fulfillment - the success of it is up to us. Laila wasn't the first female to enter the world of boxing, but walked away with victories and the titles which made her a champion and a living legacy. She decided for herself what would be her path - stumbling upon boxing. What a stumble! I would say that there isn't anything that we are unable to accomplish if we would put our best foot forward and not accept defeat until victories are won. Box your way to victory and look back and see your rewards. You are a Champion! One evening a few days later Allison arrived home very late, and once Chris saw her entering the home with a very large box in her hands, he got up from the sofa, rushing to the door to help her asking, "What's in this box, it's heavy". Allison smiled and softly said that it was a surprise. He had always liked surprises and was eager to see what was inside. She asked him not to rush into the package, but said after she had prepared their dinner and they were done with their meals, she would open the box and reveal to him her surprise. Once dinner had been prepared and they had eaten and were now watching TV, Chris brought up the package, "the box" - hinting for her to open it. She conceded to opening the box at that point, stating that she could hardly wait for him to see what she had purchased. Allison sat him next to her and poured them both a glass of wine and she made a toast to a new beginning. He agreed with a new beginning, but asked "What new beginning? and what's the occasion?" Allison began untying the bow that was attached to the box, and as Chris looked patiently on, she opened the box, taking out the stuffing that was inside. She stood up in the middle of the floor and pulled out a brand-new wedding dress and said to him, "What do you think about the dress, honey?" He immediately put his glass of wine down and stood up with a look of confusion on his face and said to her, "Why have you gone out and purchased a wedding dress!, raising his voice. I don't understand," he said. Allison chuckled and replied that it was the dress that she was going to be married in. He sat down and said that there has been a misunderstanding and some sort of mistake - married in?, I didn't propose," he said. I'm A Columnist - Writing for V Magazine "Celebrating Women Everyday"! I have accepted an opportunity to write for V Magazine, a magazine that celebrates women daily. 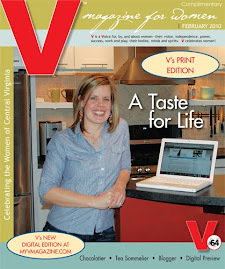 V Magazine is distributed in Central Virginia and are in over 400 locations. My column will come out each Wednesday beginning now. I am very excited and grateful for this wonderful privilege of being able to share with women everywhere just how wonderful we all are. No matter the difficult circumstances that we have found ourselves in, we are fabulous. Please bookmark my site and revisit it each week as you keep up-to-date on my site articles, as well as, the column. The column will be in the "Life Is Good" section of the magazine. I will have a link, on the right of this page, with the current column, We Are Woman, each week. Please, as always, pass the site's link on. I promise, you will not be disappointed. Also remember, you can post your comments directly on this site or email me, as well. Border Book Signing - A Success!! Thanks to everyone who made this book signing event a success! It was wonderful to spend time speaking with all of you. I absolutely loved it! I'm so grateful for all the new friends that I've made. Love you all!! Also if you wasn't able to make this event, remember to check the listing of upcoming events and locations for a more convenient day and time. Enjoy some photos below and remember, you can comment on the book right here on this site or you can email me with your comments, as well. Good or bad - I would love to hear from you. Roland was a wonderful individual to speak with. He was very knowledgeable about women's worth and spoke with me a bit about it. Roland said, "it's only a few things that women need and if we are treated well by a man - well, we will love". He also went on to encourage Shadonna (below) of her worth as a women! Wow! What more could I have asked for. It was great! Roland, the pleasure was all mine. 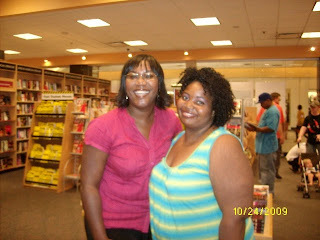 Shadonna was such a joy to meet. 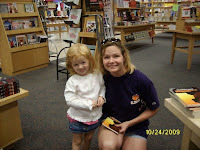 She was more excited than I was about the book and meeting me. She kept me going. 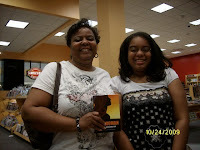 Shadonna, I loved your enthusiasm and know you're really going to enjoy the book. Thanks so much again for your wonderful personality. Loved meeting you! We Are Women, is a wonderful book for everyone. Not only single women, married women and mothers purchased this book, but also our gentlemen, as well. We're making progress. See the remaining photos below. Enjoyed it all!! See you at the next event! Inspired by her first ride in an airplane in 1920, Amelia Earhart became one of the greatest female pilots of the 20th century. She was the first woman to fly across the Atlantic, and the first person to have flown both oceans. Earhart also dedicated much of her life to prove that, like men, women could excel in their chosen professions and that they could have equal value. We as women has proven over and over again that we are valuable within our chosen professions. We are a living legacy to those in which we love and have touched. We are innovative and determined women who are living a legacy and in most cases are unaware of it. We are living it now, as Amelia did. She lived her dream while living a legacy. She not only flew into the great blue skies, but she dove into the knowledge of what she needed to reach her goals. She learned as much as she was able to about flying an aircraft and that of being a pilot - starting off as a nursing assistant. As her story was told she left nothing unturned and as we look at her life now, she left nothing to her imagination. Ladies what are our goals, how will we obtain the things that we envision having. Will we be easily persuaded not to pursue, will we permit others and circumstances to dictate our visions and hinder the fulfillment of our goals?. Will we over emphasize our limitations? I'm sure that Amelia saw her limitations, but those limits wouldn't effect her goals. We have everything that we need to succeed at whatever we decide to do. We are woman! Whether your goals are being an educator, starting a business or even soaring the blue skies, as Amelia did, it's your vision to see and it your goals to reach. Acknowledge your potential and understand your strength and abilities. There is nothing that you are unable to accomplish - if you can only remember that you can. Whatever your visions and goals are follow them, run after them and stop only once you have reached them. Live free enough to go after your goals. Do not under estimate where you currently are in your life. Remember, Amelia began as a nurses aid, not as a women pilot, soaring the skies. The freedom that Amelia must have experienced as she soared through our skies is the same freedom that we can experience as we soar ours. Its never to late to see your visions and run after your goals ultimately soaring in your sky. Can you see it for yourself today? I certaintly can. When will you begin - start today! 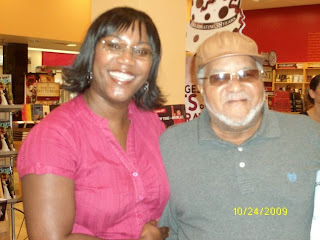 I had the pleasure of being able to discuss my book with 95.7 R&B radio personality, Charles Black. He promises to read it and then pass it on to his wife. Lol! He will let us know what he thinks about it soon. Wow! Another Great Review Of My Book - We Are Woman!! 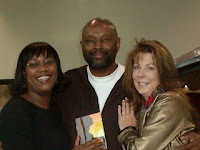 I am very excited about the recognition that my book, We Are Woman, has been receiving. It has had several articles and reviews written along with the support of those who has read it. This review has been written by the owner of Simple Pleasures Books & Gifts, Brenda Seward, for V Magazine for women, a local magazine that supports and celebrate the lives of women every day. Please review the write up by clicking the link below. Let me know what you think about it by posting your comment below. Also, visit the website for your next book or gift item at Simple Pleasures Books & Gifts. Click their link below. Ladies Be Encouraged and Pass It On! There are so many of us needing to hear a good word, encouraging word, supporting word and loving word. But today it's sad that we have taken other approaches that do the opposite of encouraging. This site's content is to do just that - build up, encourage, support and love us. My goals are to support all the ladies both young and old and support us with words that remember our worth. Visit this site, bookmark it and return often to be uplifted. You can agree, disagree and post your comment. Astronaut and astrophysicist, Sally Ride is the lady of the month. In 1983 Ms. Ride became the first American woman in space. She grew up in Los Angeles and went to Stanford University where she was a double major in physics and English. Sally Ride beat out 1,000 other applicants for a spot in the National Aeronautics and Space Administration's (NASA) astronaut program. She went through the program’s rigorous training program and got her chance to go into space. On June 18, Ride became the first American woman in space aboard the space shuttle Challenger. As a mission specialist, she helped deploy satellites and worked other projects. She returned to Earth on June 24. We may not all get to fly in space, but we can fly far above our circumstances. We can fly so high that we look down on the trouble that seems to try and overtake us. Let's see ourselves flying high above anything that attempts to hurt, hinder or crush our dreams! Let's fly high above sickness, disease, critical family and friends and those who seem to never be satisfied with our existence. We are here to stay - fly high above! Will you see yourself flying high above? We Are Woman has another wonderful review! Please click the link below and read the review written by Margaret Oleksa, a colunmist from the Examiner. She does an excellent job in showcasing the essence of the book. I know that you will enjoy reading it as much I did. Please post your comments right here on my site. Ladies, with all that we do on a daily basis - the children, the job, our homes and our family and friends, we sometimes lose heart for our future and for the zeal of life. Sometimes as we look ahead it's difficult to see any worth in continuing with our visions and goals. Have you thought about the mark that you will someday leave for the world to remember? Our lives are a showcase for those who know us and love us and they are pulling for our success. The world is those you have touched with your inspiring words, wisdom and your heartfelt friendship. Stay in the race and run it until you have reached the finish line. Make it to that line because you can, complete the goals of all your dreams and live a life filled with faith . The hope that you will mark in the hearts and minds of those you come in contact with you will be a track of your success and you will never be forgotten. What are your dreams! What is your race to face! How will you reach your goals! How will you complete your race! Life is abundant and the fullness of it is before you - love it while embracing it. Life is worth living. Don't give up. It's a good life! I Had My First Radio Taping! "It was so much fun"
I had my very first taping! It was great! I completely enjoyed it. The purpose of the taping was to make our communities aware of the 1st Annual Black Dress Affair that's scheduled for Sunday, July 19th. We wish for everyone to be aware and to come out, join us and support our efforts. 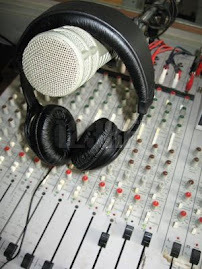 The taping will be aired on four different stations on Sunday morning, July 5th at 6:00 a.m., (101.3 2WD), 6:30 a.m. Z104 (104.5), 7:00 a.m. (94.9 The Point) & 7:30 a.m. (95.7 R&B). Listen in for fun! Tell someone about the event and remember to join us at the event at the Point Plaza Suite Hotel (Chesapeake Ballroom) on J. Clyde Morris Blvd. in Newport News, VA. I could get use to this! Oh and I threw in information about the book also - what a deal!! Do you think that we as women need to focus some of our caring and attention on ourselves? What affect has not caring for ourselves had on who we are as women. What changes in ourselves have we not noticed occuring because of the lack of attention for us. Who have we turned into. What levels and depths has we as women taken ourselves through and to in order to find that perfect him. I read the book in two days. It was wonderful and well written. You hit the nail on the head as the saying goes. Many of us forget our true value and self worth as Women. We always forget ourselves because we constantly put the world ahead. It made me feel much better and appreciated for being the Woman that I am. All Women are Super Heroes! Due to our busy lives, we often forget or are preoccupied, that we forget God is our source of energy, survival, love, patience, strength, etc. I enjoyed the book and have given it to my daughters who are now Women. Wow! I look forward to reading all your materials. It is also great that part of the proceeds go to an excellent cause. Many Single Mothers need an outlet of support. It feels great to know that someone cares, we are appreciated and there is always some form of assistance available. Thank you for your wisdom and time as far as writing this book. You are like the Guiding Big Sister so many of us need!!! The FACE Foundation is a non profit charitable organization that focuses on the wholeness and wellness of single working mothers who are facing difficulty and who are experiencing stress, low self-esteem, anger and financial difficulty. The FACE Foundation, PO Box 16225, Newport News, VA 23608. For more information on The FACE Foundation, click the link to the left of this page. Each dollar donated will go to helping these mothers. There is no donation to small. Will you help today? Also by purchasing this book, We Are Woman, a portion of the proceeds go into this foundation. 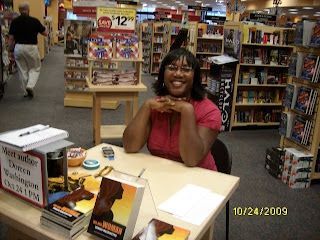 I, as an author, wanted to continue to pull all of my resources together so that our single mothers could be helped. We are in it together and I prove this by donating regularly, as well. How Do We See Our Today? Our today always looks better than our yesterday. If we are reading this - we are still seeing. If we have heard the commerical on this blog - we are still hearing. If we are replying to this - we still have use of our hands. If we are pondering this - we still have use of our thoughts. We are still here! Today is still better than our yesterday, no matter what yesterday held. Now Available Online - Trapped! Next Upcoming Book Signing Event Saturday, December 12th 1:00 - 4:00 p.m. I am the Author of two books, We Are Woman and Trapped. Enjoyed being the President of local Chapter for The NAPW and is very active in fundraising efforts to support my womens foundation. I am the Founder/CEO of The FACE Foundation (see link below). My beliefs are that we were unqiuely designed and wonderfully made. If we remember our strengths and remember our victories, we can live our dreams and move toward our destinies. I believe that as we care of others, a little bit of us each time is left in the lives we've touched. Now it's time to touch our own lives. I love to write and protray this within my writings. Journalism and media communications has always sparked my interest and my love for creative writing began to evolve as my family began to have families of their own. Now I find myself in the beginning of a new relationship – a relationship with writing. 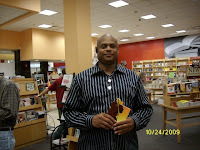 I was born and raised in Buffalo, New York and later relocated with my family to Newport News, VA, where I now resides. I am a Christian and an active member of Victory Life Church in Hampton, Virginia. Saturday, November 28th 1:00 - 4:00 p.m.
Saturday, December 12th 1:00 - 4:00 p.m.
Saturday, January 9th 1:00 - 4:00 p.m.
Saturday, January 16th 1:00 - 4:00 p.m.
Saturday, February 6th 1:00 - 4:00 p.m.